QSM is a Fortran implementation of the quasi-secant method for nonsmooth possibly nonconvex minimization. The user can employ either analytically calculated or approximated subgradients in his experiments (this can be done automatically by selecting one parameter). The software is free for academic teaching and research purposes but I ask you to refer the reference given below if you use it. If you have any questions conserning the software, please contact directly the author Prof. Adil Bagirov. 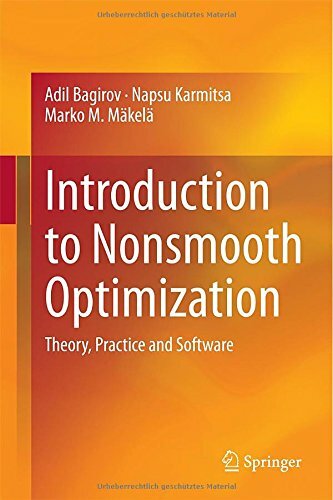 A. Bagirov, A. Ganjehlou, "A quasisecant method for minimizing nonsmooth functions", Optimization Methods and Software, Vol. 25, No 1, pp. 3-18, 2010.